Here’s another great lens you should check out if you’re a Nikon-shooter. Everyone should have a fast 50 in their arsenal and this is a minor favorite of mine. There are a lot of good reasons to get this. First is that it is quite small. It’s not pancake-small but it does not weigh anything really and barely juts out past the flash horn on my camera. Secondly is that it’s well-built. Third, it’s a lot of fun to shoot with. Fourth is that it costs very little. 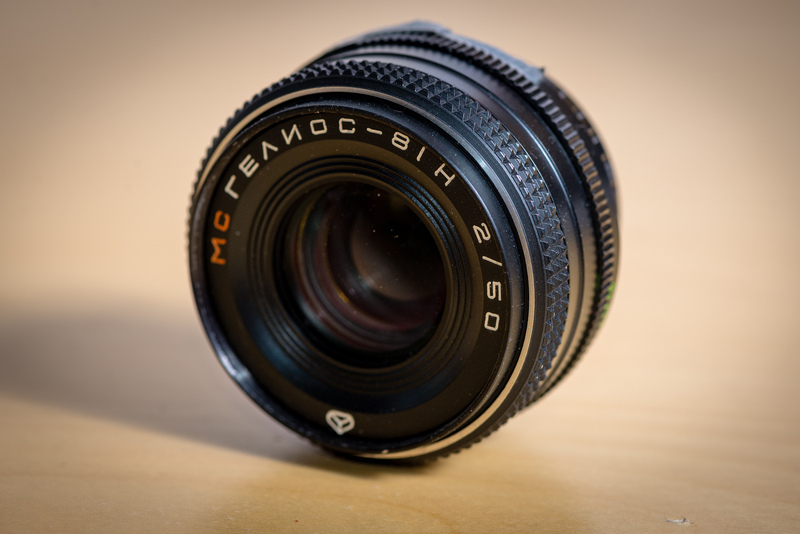 The story behind the Helios 81N (or 81H when using the cyrillic alphabet) is that it’s a soviet/russian copy of an old Zeiss optical formula, slapped onto a unlicensed copy of the Nikon F-mount. Now, there are a few caveats with this lens. No showstoppers, but things to know about. Since this is an unlicensed copy of the F-mount, it isn’t 100% accurate. At least mine isn’t. There are various versions of this lens but my version isn’t completely compatible. It wiggles a little when mounted. I mean, we’re talking fractions of a millimeter but enough to notice when it’s mounted. Also the aperture ring doesn’t quite line up with the cameras aperture-feeler. This is a bigger concern, since if you’re frivolous might damage the feeler. This is why I’ve modified mine with a bit of duct-tape so it lines up properly. A dab of thick glue would also do the trick, but for the time being I prefer something removable. Apart from that, this works great with any Nikon. This was the kit-lens included with some Soviet/Russian camera whose name escapes me, but it had an unlicensed Nikon-bayonet. Note: this is the ONLY Helios-branded lens (at least that I know of) that has this feature. Every other Helios either is M42-screw or some other bayonet. It’s just the 81 that is Nikon. Why should you get this lens then? Because it has some very interesting optical properties. These optics are a bit of an acquired taste though, so it has to be something that attracts you. The Helios-81 produces wonderfully smeared bokeh, and when provoked in the right manner also swirls it similar to most other russian lenses. Stop it down a bit and it’s also very sharp, but this is one of those lenses you want to shoot wide open, Lomo-style. Here’s a photo I took with it. 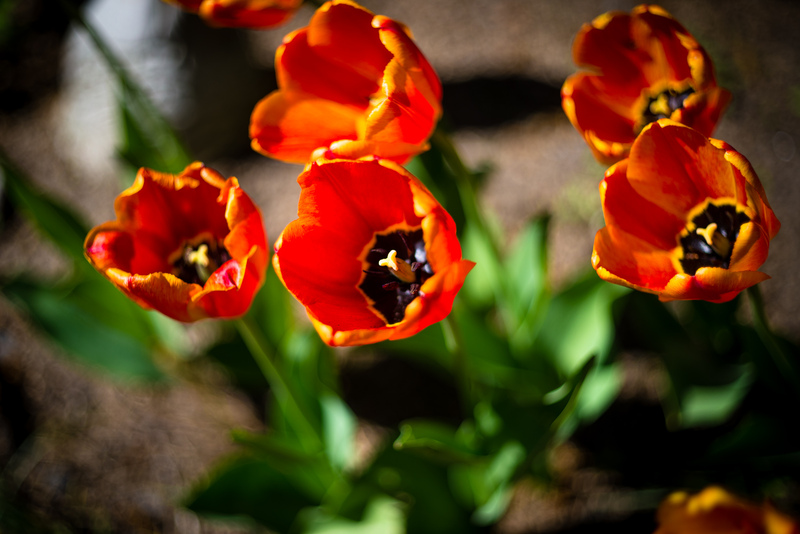 It gives very contrasty pictures, and the smeary bokeh adds a painting-like quality to the textures. I like this lens a lot. Unlike the other Helios I’ve reviewed (and hated) this one is a keeper. It’s very cheap to get, I bought mine for about 30 US bucks. Look around ebay, they’re everywhere.